All trainers listed on this page are Licensed to use the Core Transformation Trainer Materials Packet (CTTMP). All have access to these detailed and extensive Trainer Materials. These materials are an essential background to offering you a high-quality training. These trainers have not gone through a specific mentorship and review process to become an endorsed Trainer. (Some live on other continents, making this impractical). However, many (if not most) are highly experienced and capable Trainers, having developed their Trainer skills through a variety of routes. We encourage you to read their biographies below to learn more about each trainer. Whenever possible, we suggest getting a direct experience of the Trainer you are interested in. Many offer free public presentations. For the Complete List of Licensed Trainers click here. Below are photos and bios for the Licensed Trainers who have chosen to send us this information. Harmon Chang, M.Sc., is an NLP Master Practitioner certified by NLP Comprehensive. Harmon was the first trainer to be licensed to use the Core Transformation Trainer Materials Packet. He is also authorized by Dr. Connirae Andreas to translate the participant materials into Chinese, which he uses in the Core Transformation workshops conducted in Mandarin. Harmon has learned the Core Transformation process as well as the Trainer Materials Packet directly from Connirae and Tamara. 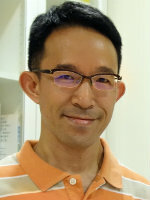 He has delivered NLP and Core Transformation workshops in Taiwan for years. In addition, Harmon founded a branch of NLP Cafe in Hisnchu City in 2007, which was one of the most important NLP practice groups in Taiwan. Harmon is also a NVC (Nonviolent Communication) coach, CNVC certified trainer candidate, MBTI Practitioner and innovation facilitator. He is the founder of Collaborative Genius Coaching serving customers in the Greater China area. Donald Pelles Ph.D., has been using Core Transformation with his clients and for himself since mid-2007. Over the past two years he has assisted with Tamara Andreas’ trainings several times, as a coach. He has presented a number of CT trainings since becoming licensed in early 2012 and hopes to do many more. Donald helps his clients resolve troublesome issues in their lives, using modalities of hypnosis, NLP, and Quantum Focusing. He is the organizer of the very active Hypnosis-NLP DC Area Meetup group. Donald was a mathematics professor and for many years a software developer before becoming a certified as a Hypnotherapist in 2007. He was certified as an NLP Practitioner in early 2008. He has been married to Rosalyn Pelles since 1977; they have three grown sons, two granddaughters, and two great-granddaughters. He sings with the DC Labor Chorus and plays tennis whenever he can. Yukari Tokonami has been a successful counselor and developmental coach for over 1,300 corporate clients in Japan over the past eight years. She is a certified NLP trainer associate and has conducted various seminars and workshops in communication through NLP in Japan. Yukari’s Core Transformation Seminars are conducted in the Japanese language. Tommy Doo, EMBA., is one of the pioneers of the NLP industry in Asia, providing NLP training both for individual and corporate clients in Hong Kong, Macau and China, having trained more than 10,000 organizational leaders. Tommy is a certified trainer of Neuro- Linguistic Programming. He is also a certified Instructor of Hypnosis and a certified Trainer of NLP Coaching. He is the author of the best selling book “NLP in Coaching”. Tommy has worked in the field of human potential since 1998. His extensive travels throughout 16 countries and four continents help make his presentations stimulating and unique. Tommy has his NLP Practitioner course included in the list of Continuing Education Fund Reimbursable Courses in Hong Kong. Before a course can be granted this funding, it has to be thoroughly assessed by the Hong Kong Council for Academic Accreditation on its training contents, qualifications and experience of trainer so as to ensure quality. Tommy believes that everyone has the resources to achieve their desired dreams and everyone can be a genius in their unique area of excellence. Tommy’s Core Transformation Seminars are conducted in the Cantonese and Putonghua language. Matt Greenshields BSc. is an NLP Master Practitioner, Hypnotherapist, EFT Master Trainer and meditation teacher and has been involved in human development for 18 years. He’s also qualified in Integrative Psychotherapy and Counselling and has been teaching Core Transformation since 2012. Matt works as a therapist, coach and counsellor and leads Core Transformation trainings and practice days in London, England. His holistic approach has grown out of his practice and study of meditation and eastern psychology, making Core Transformation one of his preferred techniques. Before changing career in 2003 Matt worked in robotics research and management. He’s interested in language and cultural development, enjoys kayaking, mountain walking and travel and co-leads Dogen Sangha London Zen group. Matt gives group and individual Core Transformation trainings. Armand Kruger qualified as a clinical psychologist at the University of Pretoria in 1972. He is an international trainer in NLP (Neuro-Linguistic Programming). Armand’s NLP career started with his practitioner training with Steve and Connirae Andreas in 1985. He did Master Practitioner’s training with Ed and Maryann Reese, John Grinder, and some personal training with Leslie Cameron-Bandler. After doing the extended trainer training with Ed and Maryann Armand qualified as an Nlp Trainer in 1987. Armand has taught NLP (with Ed and Maryann in Switzerland, Austria, USA, and in Zimbabwe. His NLP-career started in 1983. In 1987 he became the first internationally qualified NLP-trainer in South Africa. In the same year (1987) he trained the first South African, internationally recognised, NLP-practitioners. His passion for NLP as an approach and preferred method for facilitating change is as strong as the first time he entered the training with Steve and Connirae in 1985. Diane Bélanger’s Bio coming soon! This is the complete list of Trainers who are members of the Core Transformation Trainers Association. This page contains the list of all Core Transformation Trainers, both those licensed to use the Trainer Materials Packet, and those who are members of the CTTA.